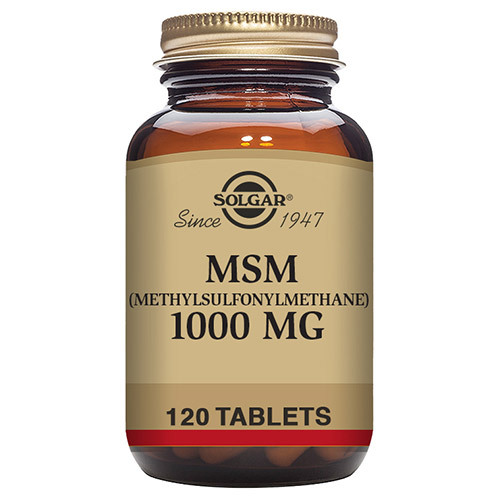 Solgar® MSM 1000mg contains MSM (methylsulfonylmethane), an organic sulphur compound and one of the most common substances found in the body. MSM is a building block for bones and joints. 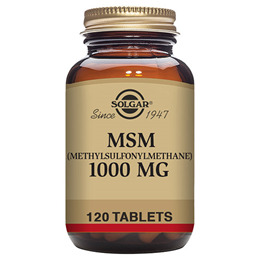 Methylsulfonylmethane provides sulphur which is needed for many different essential functions within the body. It plays an important part in producing glucosamine, which is important for bones and joints. Glucosamine is naturally present in bones and cartilage and is considered a building block for joints and cartilage. MSM can be found in several foods such as green vegetables, but is destroyed by even modest processing. 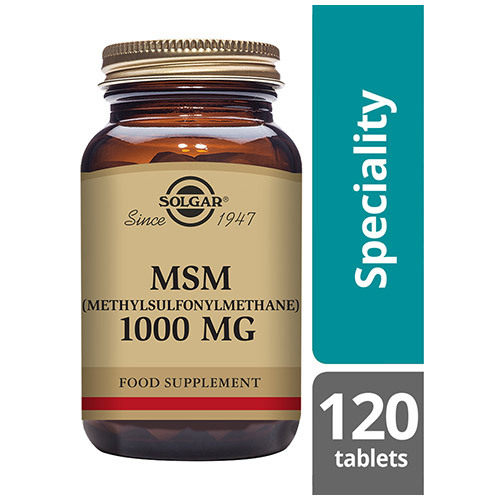 Solgar® MSM 1000mg, with a 2 tablets a day dose, will make sure that you receive this essential organic sulphur for your daily wellbeing. Bulking Agents: microcrystalline cellulose, hypromellose, Anti-caking Agents: vegetable magnesium stearate, silicon dioxide, vegetable stearic acid, Glazing Agents: hypromellose, vegetable, glycerin (from palm kernel oil and coconut oil). As a food supplement for adults take one to two tablets daily, preferably at mealtime, or as directed by a healthcare practitioner. 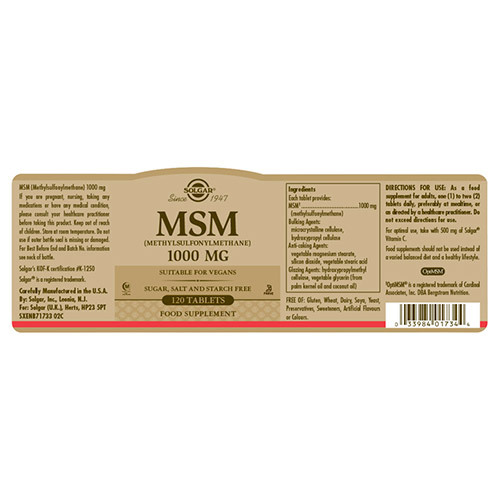 For optimal use, take with 500mg of Solgar Vitamin C.
Below are reviews of Solgar MSM - Joint Health - 120 x 1000mg Tablets by bodykind customers. If you have tried this product we'd love to hear what you think so please leave a review. 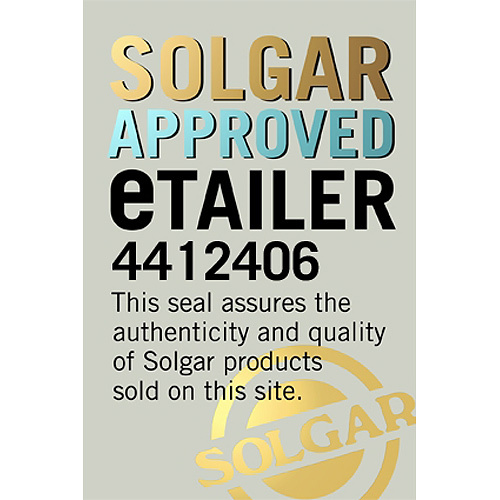 Good product... excellent service I recomend.